The workshop is organized by INRIA and ENSTA. 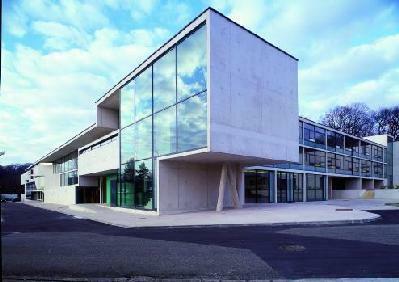 It will be held at INRIA, in Versailles, at 20 km from Paris. You can visit the Web sites of the previous editions of the workshop: WCC 2001 and WCC'99. The workshop is sponsored by the Ecole Supérieure et d'Application des Transmissions, by the Université de Limoges, by the Délégation Générale pour l'Armement (DGA), by the European Research Consortium for Informatics and Mathematics (ERCIM) and by France Telecom R&D. The official languages are English and French. Coding theory: error-correcting codes, decoding algorithms, related combinatorial problems. You can see there the Call for papers in an html version. (PDF version). The paper submission is closed. You need to download the registration form, print it on your local printer, fill it and send it by surface mail. Please download the registration form either in PDF (20k) format or in PostScript (121k) format. INRIA is much closer to Versailles than Paris. We therefore strongly recommend that you stay in Versailles during the workhop. Keep in mind that Versailles is a very visited touristic town and therefore the hotels are very busy. Early reservations are recommended. For people having problems to find accomodation in Versailles, we recommend you to book a hotel in Paris near the train station "Gare Montparnasse". Here is the list of accepted papers (51 among 106) and of invited talks. How to go to INRIA from Paris, Versailles and airports. Computing environment at the conference site. If you come with your laptop and need network, you may register your machine in advance. Last modification on March 13, 2003.